Paul Dirac could speak five languages, but he was famous for his silences. He was awarded the Nobel Prize for his discoveries in quantum mechanics, but when quizzed about his achievements he declined to explain saying “quantum theories are built from physical concepts which cannot be explained”. 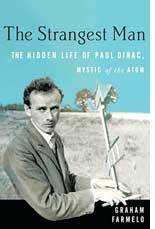 Graham Farmelo’s biography of one of the most unsung scientists of our time presents Dirac as a man with an almost miraculous apprehension of the structure of the physical world, coupled with gentle incomprehension of the less logical world of people. The solemn scientist did come alive while teaching at Cambridge. 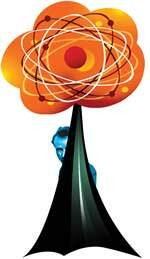 The physicist Subramanyam Chandrashekar, his student, described Dirac’s lectures as “a piece of music”. But Chandrashekar would be uncharitable to Dirac’s demeanour outside the class. “He walks quietly and close to the walls, like a thief, and is not at all healthy,” he said. Dirac sounds like an unlikely candidate for a biography. Yet Farmelo’s book races along. In the foreground, there is economic privation, a difficult father, the devastation of a continent, the atom bomb and the Cold War. Embracing this is the intellectual ferment that comes to a climax with the debate about the nature of matter. According to Farmelo, Dirac spoke very little during those debates, proposing anti-matter not on the basis of physical observation, but because his own mathematical logic told him it must exist. Yet his contribution earned him the friendship of vibrant geniuses such as Neils Bohr and Robert Oppenheimer.